Pictures, Top: Newport Wharf with Steamer, 1925. pic d1-15926r. Above: near the wharf at Newport 1915. pic d1-33116r. both from Government Printing Office. Below: Newport 2011 from the water. Named for the birds that frequent this watery paradise side of west Newport, Heron Cove is also the sight visitors were greeted with when alighting from steamers at Newport wharf. Until the 1930’s when more people built weekenders, Newport was a mostly rural area with orchards on the rich soil floor of the valley and oyster ‘fattening’ beds along the foreshores. Orchards once filled the stretches of land to the west below what is Bushranger’s Hill. 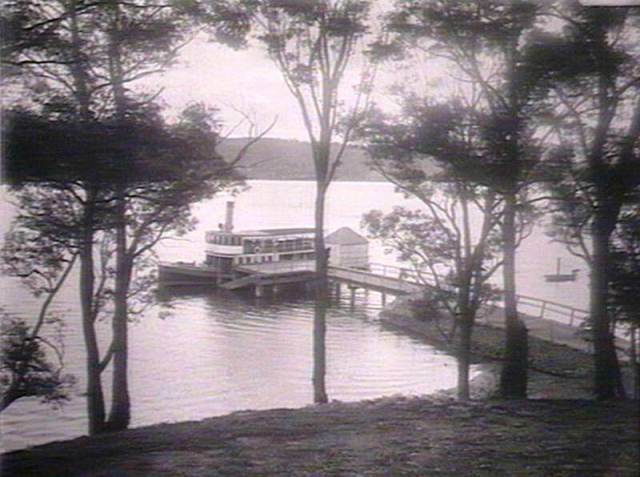 By 1881 the foreshores of Newport and its main wharf were headquarters for a number of Hawkesbury and Brisbane waters steamers. 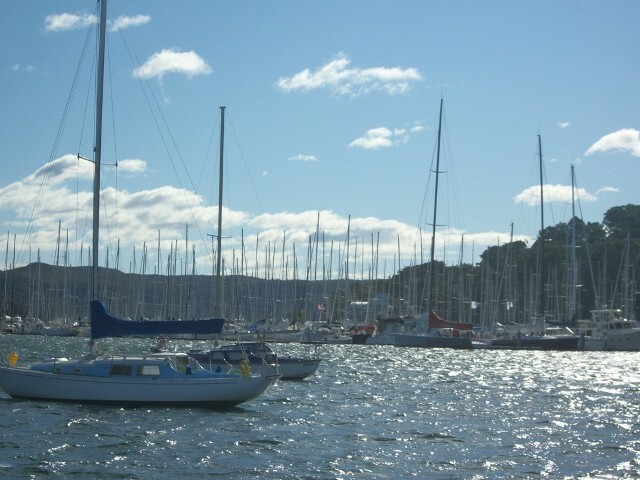 Yachts, for recreation only, were moored although not in the seas of masts we see today. Habitat trees such as Spotted Gum, Cabbage-tree Palm, Swamp Oak, Forest Oak and Blueberry Ash remain along these bays. There are still indigenous middens along these foreshores, notably at Salt Pan Cove, show mussels, cockles and oysters were abundant. So too were fish in warm and cold seasons. 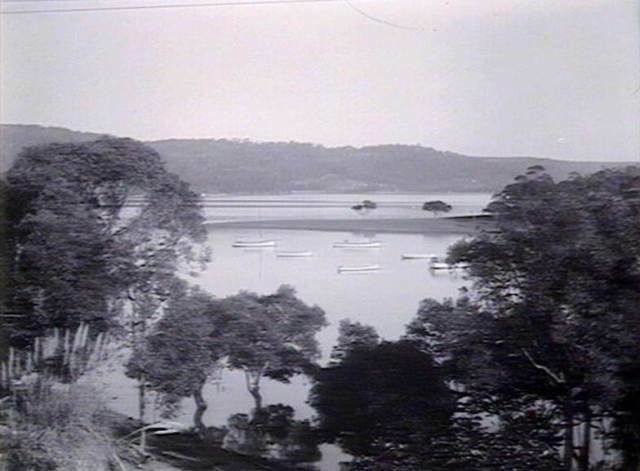 A recorded stranding of a bottlenose dolphin at Crystal Bay in 1971 shows sharks are not the only larger fish to come right to southern bays of Pittwater’s estuary. Bays north and south of where the original Newport wharf (where current public wharf is in Newport at west end of Queens Parade) was built were muddy swamps and mangroves originally.